Ever thought about the Good Life and living off the land? The spiritual well being of growing and selling food to local people? At BigBarn we would love to promote thousands of profitable smallholdings on our UK Food Map, reconnecting people with where their food comes from and helping build inclusive, sustainable, communities around food. Smallholdings come in all shapes and sizes. Some include dwelling houses, others are just plots of undeveloped land. Some are not really smallholdings at all but houses with large gardens (with or without allotment!) or even small farms of up to 50 acres; in fact they’re as diverse as the people who want to live in and on them. 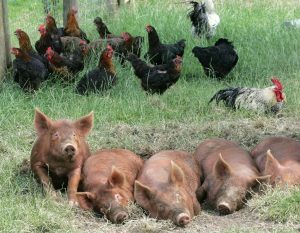 Running a smallholding may not be an easy business, but you’ve every reason to believe that it can be a viable one. The Department for Agriculture, Food, & Rural Affairs statistics on UK farm income show that small specialised farms raising rare-breed livestock or growing niche horticultural crops make more profit than mono- cultural cereal prairies, farms with great herds of livestock, or large mixed farms, which in 2013-14 relied on state subsidies for a third of their income. In fact 60% of Britain’s cereal farms actually made an operating loss! It’s the same elsewhere: a 1999 US policy brief indicated that farms of less than 27 acres netted significantly higher returns than larger ones. Many British smallholders have far less land than this and have still established successful businesses; and according to the Institute for Food & Development Policy the small farm’s greater profitability is mainly due to specialising in higher-value goods. The message is clear: quality counts. Today, with the prospect of Brexit looming, the whole question of farm subsidies will soon be up in the air and there is a strong argument to be made for weaning agriculture off subsidies altogether. Many commentators believe that there is a viable place in British agriculture for smaller, more sustainable farms and smallholdings turning out high-quality added-value products intended for carefully targeted markets. – but also an equally wide range of business activities. 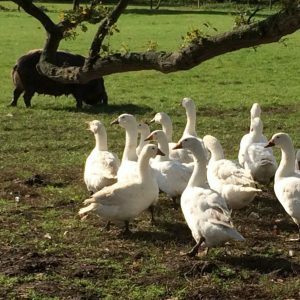 Smallholding isn’t defined by the type of property in question as much as the operations carried out there. 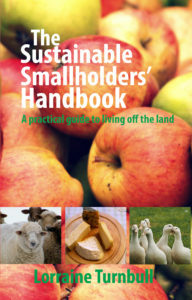 And whether you have one acre or 50, you can make a profit from smallholding.